A publicly traded company, Allscripts EHR has grown over the past 30 years from an electronic prescribing company to a leader in population health and precision medicine. Allscripts Practice Management and Allscripts Payerpath combined provide a complete tool kit to medical practices to be more efficient and productive, and help drive costs down. Also, they have innovative third party applications in their application store to complement their solution. DOES ALLSCRIPTS OFFER AN EHR FOR SPECIALTY PRACTICES? 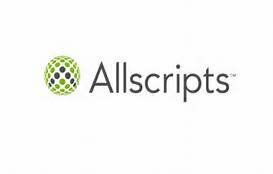 Allscripts does not heavily promote their EHR for medical specialties, but they do state that they serve specialty practices of all sizes. They specifically call out that the Allscripts TouchWorks EHR is “for large, multip-specialty physician practices”. Lastly, Touchworks EHR Allscripts Prenatal is available as a cloud-based solution for maternity care. WHAT KIND OF TRAINING AND SUPPORT DOES ALLSCRIPTS EHR OFFER? Through a client support portal called Allscripts Central where customers can access ClientConnect and the Learning Center full of “all-access” resources. ClientConnect is a knowledge sharing community where you can collaborate with other practices. And of course they share direct service lines to call for troubleshooting. In addition, there is thorough support and training available as part of Allscripts EHR overall offerings, but much of it appears to be baked into their package. IS ALLSCRIPTS EHR MEANINGFUL USE CERTIFIED? Allscripts provides the complete 2014 certified EHR technology, but their customers must pay for an additional cost for the Meaningful Use package which is typically subscription based. WHAT DOES ALLSCRIPTS EHR TOUT AS THEIR VALUE PROPOSITION? Allscripts promotes its Open platform touting “Building Open, connected communities of health.” They were the first in the EHR industry to introduce the Open concept in 2007 and continue to push to be the front runner. With integration being a key focus, Allscripts EHR provides a Developers Program to provide access to everything a developer would need to develop a healthcare application.